Eschew the tourist crowds and head to The Wicked Cheese Co. and Cat and Fiddle Arcade. When in Hobart, make a side trip to see Bonorong Wildlife Sanctuary in Brighton, approximately 30 minutes away. On the 11th (Sat), give your taste buds a day to remember with a local gastronomic tour. 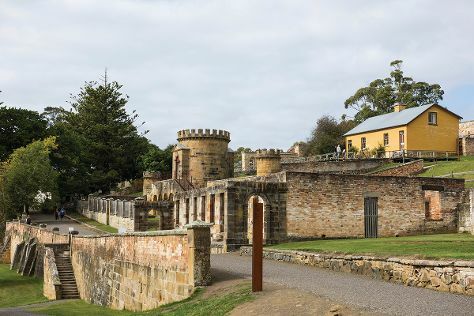 There's lots more to do: admire the natural beauty at Royal Tasmanian Botanical Gardens, appreciate the extensive heritage of Battery Point Sculpture Trail, take your sightseeing to a higher altitude at Mount Wellington, and steep yourself in history at Cascades Female Factory Historic Site. To see more things to do, photos, reviews, and other tourist information, use the Hobart day trip planning website . Sydney to Hobart is an approximately 4.5-hour flight. You can also do a combination of train, ferry, and bus; or do a combination of bus and ferry. Plan for little chillier temperatures traveling from Sydney in May, with highs in Hobart at 18°C and lows at 7°C. Finish your sightseeing early on the 12th (Sun) to allow enough time to drive to Port Arthur. Eschew the tourist crowds and head to Maria Island National Park and Three Capes Track. Change things up with these side-trips from Port Arthur: Eaglehawk Neck (Fossil Bay Lookout, Waterfall Bay, & more). To find out how to plan a trip to Port Arthur, use our trip itinerary maker. Traveling by car from Hobart to Port Arthur takes 1.5 hours. Alternatively, you can take a bus. Expect a daytime high around 18°C in May, and nighttime lows around 7°C. Wrap up your sightseeing on the 15th (Wed) to allow time to drive to Coles Bay. On the 16th (Thu), identify plant and animal life at Freycinet National Park. Keep things going the next day: kick back and relax at Wineglass Bay Lookout, visit a coastal fixture at Cape Tourville Lighthouse, then do a tasting at Devil's Corner Cellar Door, then do a tasting at Gala Estate Vineyard, and finally look for gifts at Melshell Oysters. 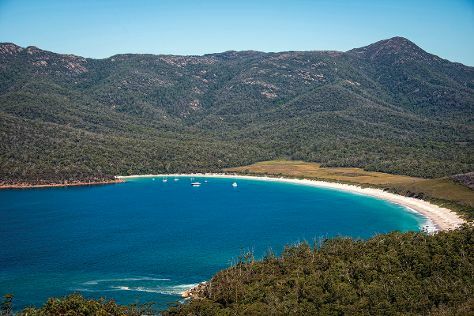 For more things to do, where to stay, and more tourist information, use the Coles Bay online journey planner . Getting from Port Arthur to Coles Bay by car takes about 3.5 hours. Other options: take a bus. Finish up your sightseeing early on the 17th (Fri) so you can go by car to Launceston. 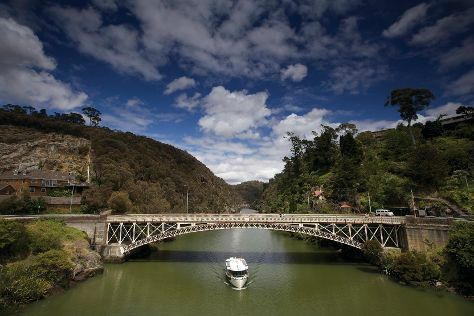 Kick off your visit on the 18th (Sat): stroll around City Park, look for all kinds of wild species at Tamar Island Wetlands, and then identify plant and animal life at Cataract Gorge Reserve. To find traveler tips, ratings, where to stay, and tourist information, read our Launceston trip planning site . Drive from Coles Bay to Launceston in 2.5 hours. Alternatively, you can do a combination of car and bus; or take a bus. In May, plan for daily highs up to 16°C, and evening lows to 5°C. Finish your sightseeing early on the 18th (Sat) to allow enough time to travel back home.